Spirits Bone Black Cathouse Gin 750ml - Royal Wine Merchants - Happy to Offer! NEW Locally distilled and bottled GIN! the perfect example of the new Mid-Atlantic style of gin. This style does not try to differentiate itself from the Dry London standard with unusual botanicals instead it achieves distinction by being softer, richer and broader in flavor. 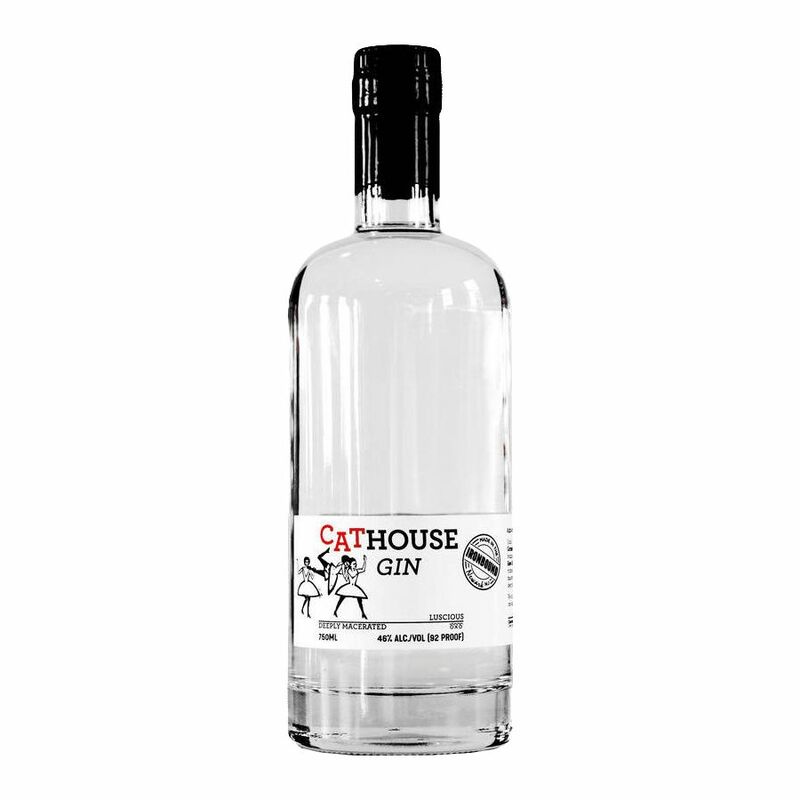 a traditional ratio of Juniper to Coriander to our eleven third-order botanicals, including Elderberry and Rose Hip, Cathouse Gin intensifies the richness of the botanicals through a long maceration followed by a distillation deep into the thick and jammy gin tails. small pot still, by hand, one batch at a time.